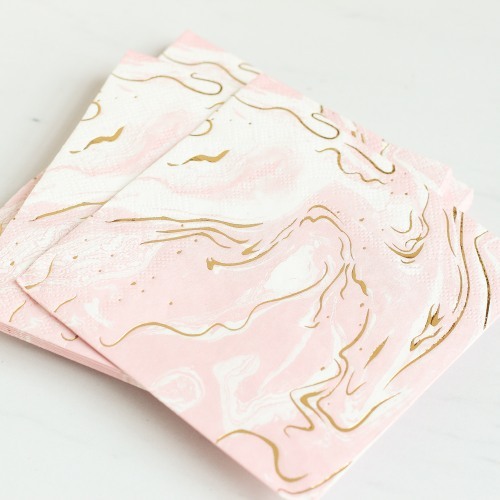 These marble napkins make a pretty addition to any wedding or bridal shower. Each set comes with 16 napkins featuring a marble effect in pink, white, and gold. Practical and stylish, you won't be disappointed!